Compatible with every bootstrap-based themes, easy to configure and flexible, this module brings new layouts to your homepage ! 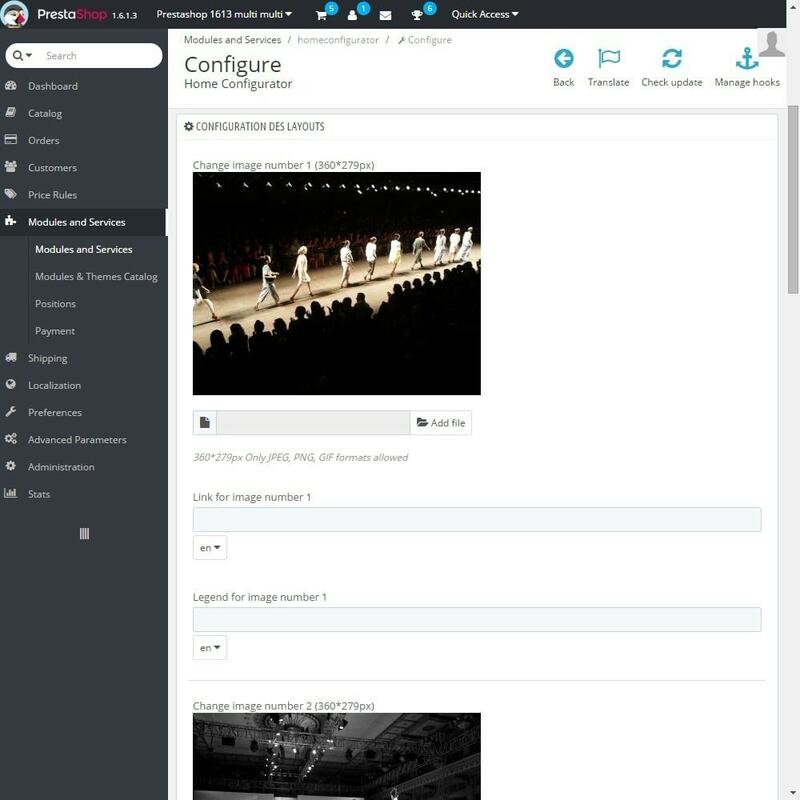 - Easier to configure than the default theme configurator, no need to change the CSS or the templates ! - Possibly more dynamic with the use of gif. - Multiple layouts already included ! And more to come ! Installation is very simple. 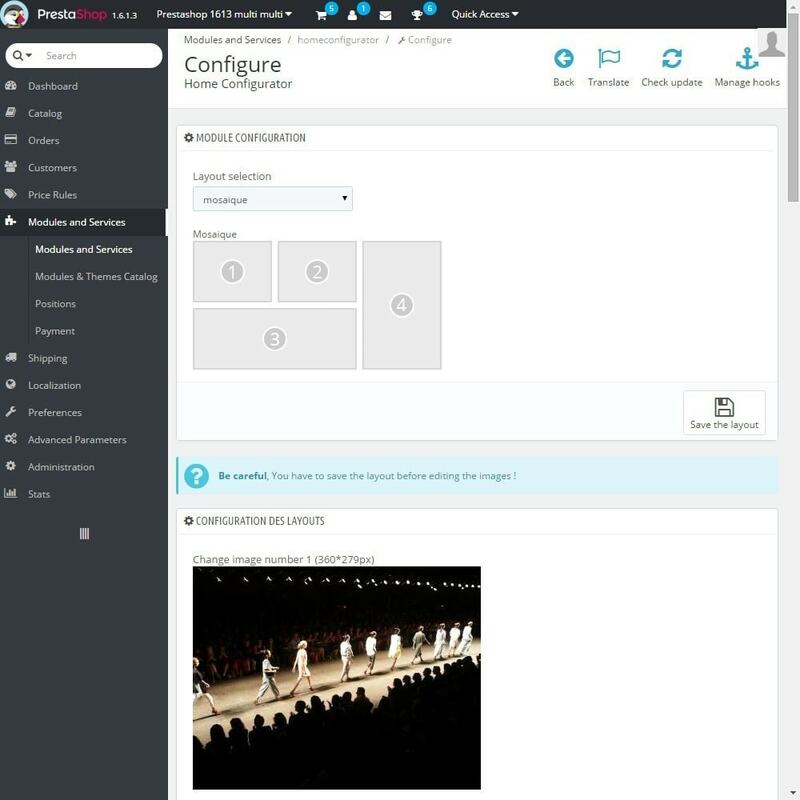 Upload module archive in your administration pannel and start to configure it in a few clicks !